What is ICB Entrepreneurship all about? ICB Entrepreneurship can be a really fun and engaging course to study. Just think about all the different skills and knowledge you will pick up! Entrepreneurship is all about knowing how to start a venture on your own. It’s about taking an idea or business plan and making it a reality. Literally making your dreams come true, Entrepreneurship teaches you to really make the most of what you have and to make a success of almost anything. The Entrepreneurship course the ICB offers really brings together all the core concepts and information you need to know. ICB Courses are split up into a few separate qualifications. Each qualification can be finished on its own, with the option to finish an entire programme to receive all of them. The qualifications themselves have different total study times based on the course itself. Entrepreneurship, for example, has three qualifications: National Certificate: Small Business Financial Management, Higher Certificate: Office Administration, and National Diploma: Financial Accounting. Each qualification normally deals with four original subjects, with the higher courses containing all the previous courses’ subjects as well. Entrepreneurship itself is actually a combination of three other programme’s courses. It contains one course of Business Management, one of Office Administration, and one of Financial Accounting. These three qualifications together form the core knowledge you need to know to successfully start out on your own. You will learn the necessary skills to make your plans a reality and get your start-up off the ground. The entry-level course in Entrepreneurship, this course deals with the start of your small business. It teaches you how to handle the finances correctly so make sure the business will survive. The duration of the course is 12 Months and to start studying you need to have at least Grade 11. The subjects you will study are Introduction to Business English, Entrepreneurship 1, Bookkeeping to Trial Balance, and Business Literacy. The intermediate level qualification deals with your office environment itself. You will learn what you can expect, how to manage and deal with it, as well as working with others. This course is especially important because these skills will stick with you for the rest of your career. They are the type of things you use on a daily basis. 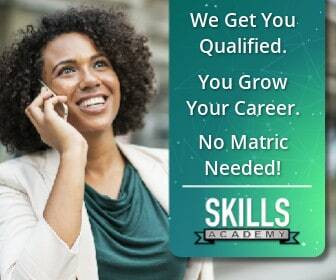 The last qualification you will receive is all about finance. Learning how to balance your own books are super important, as well as preparing your company for auditing. These skills are definitely useful in the business world. The total study time for this course is 36 months and also includes the two certificates. The subjects you will be working with, besides the nine mentioned above, will be Entrepreneurship 3, Financial Management and Control, Financial Reporting and Regulatory Frameworks, and Research Theory and Practice (by short dissertation; topic: Entrepreneurship). Because the programme is so wide and covers many skills, you will be able to do quite a lot with these qualifications. Not only will you be able to start and run your own business, but you can also easily walk into an office environment in a managing or admin position. The skills this programme teaches you can be used in most lines of work, so you aren’t just limited to the business world. As you can see, Entrepreneurship is an awesome field of study. There is so much you can do with these skills! So wait no longer, start your new path by registering here.